The Triangular-lattice-girders are made from high tensile reinforcing bar, Lattice Girders being with a typical design comprising of one top bar (8-16mm), two bottom bars (8-12mm) and inclined ‘zigzag’ bars (8mm). The Lattice girders are made to your specification so we can accommodate virtually any height, width and length. 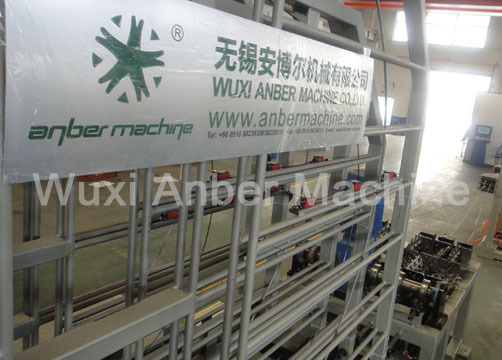 The Lattice girder welding machines produce standard lattice girders, thrust girders and wall girders. Lattice girder applications: Often used in permanent precast concrete formwork to in-situ slabs, lattice girders provide rigidity to the unit and acts as a mechanical fixing between the precast formwork and the in-situ concrete. 1. 5 sets of Line wire pay-off: Max. Carrying capacity 1,500Kg for each set. 2. 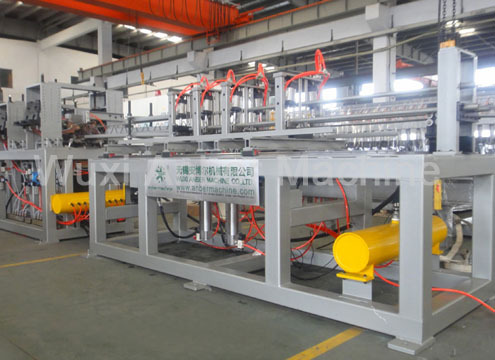 5sets of Line wire straightening unit: Each set can be controlled separately, emergency stop switch, keep personnel and equipment away from damage. 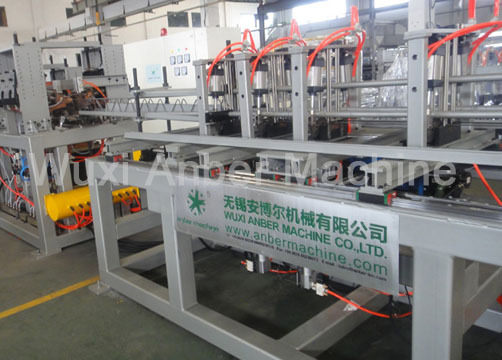 Including electronic control cabinet, operation platform. Extremely short times for changing of height and dimensions. 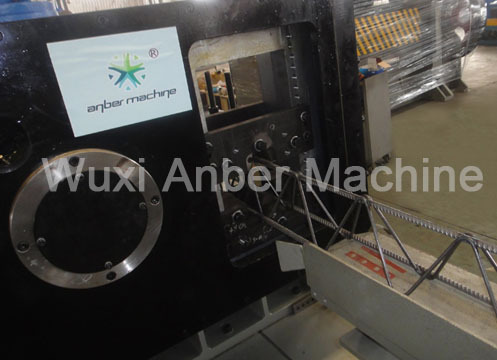 Setting of welding control via monitor and examination of welding points. 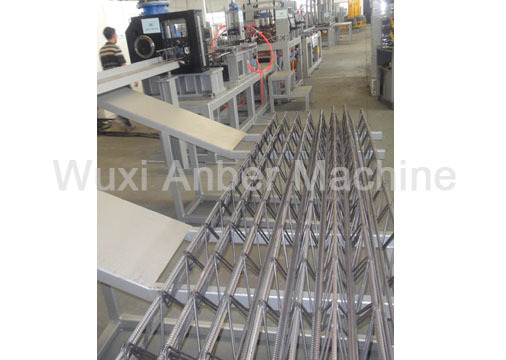 Special welding electrodes which are not replaced when worn out but simply turned forward by one increment. 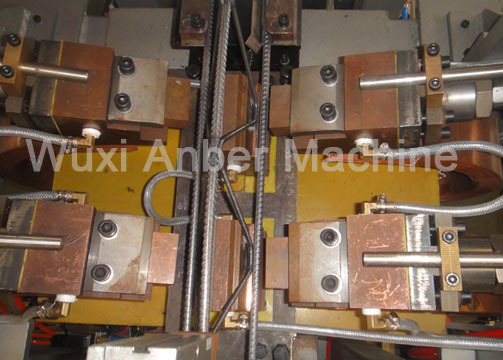 High reliability of the process due to flexible stacking for girder packs of different lengths. Stacking by order reference is possible. Easy maintenance of all plant components. Automatic reminder of maintenance upon reaching preset output meters.